If you’re a teacher or school nurse, or you work in an educational setting, you have the opportunity to educate young people about one of the biggest health threats we face globally - antimicrobial resistance. Our antibiotics are under threat. Overuse and misuse of these drugs is making them less effective at treating infections and we face a future where they may no longer work at all. Every year many children receive prescriptions for antibiotics and while it’s important they get these vital medicines when needed, research shows that prescriptions are often unnecessary and are given for illnesses that antibiotics can’t treat, like colds and flu. But apart from that stark warning, why does this matter for schools and children? Simple actions can slow antibiotic resistance. Very basic knowledge about how antibiotics work or simple infection control (careful hand washing for instance) can make all the difference. Children can even pass these messages on to parents and family at home. So we need to share messages about the fight against antibiotic resistance throughout society, with health professionals, health leaders and the public. That’s why we want to engage teachers, as you are best placed to spread the word in schools, talking to our children and alerting colleagues about available tools and learning resources. Could you run an event or class in your school for instance, encouraging children to be ‘Antibiotic Guardians’? How can you do this and what tools and resources are available? This year we are introducing Junior and Family Antibiotic Guardian as part of our wider Antibiotic Guardian campaign. This is the first time the campaign has focused on young children and students, making use of our free e-Bug educational resource and the digital badging website Make Waves. Junior and Family Antibiotic Guardian have been developed in collaboration with Makewaves, for children, young people and their families/carers to complete tasks and earn badges. Though the badges have been designed to coincide with World Antibiotic Awareness Week in November they are available to be earned all year round. Junior and Family Antibiotic Guardian make use of e-bug; free online resources which provide educational material on microbes. Many schools are registered with Make Waves, but if yours isn’t, you can sign up easily online. Any questions about joining the Academy or earning these badges can be emailed to hello@makewav.es. 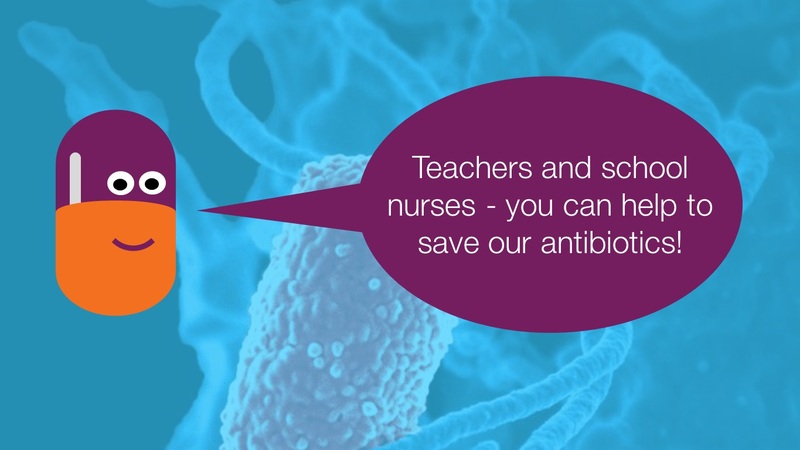 As an educator, you can choose a pledge and sign up to become an Antibiotic Guardian yourself and encourage your colleagues to do the same. You can also register your activity with us if your school plans on joining in with Junior Antibiotic Guardian by filling out this online form.